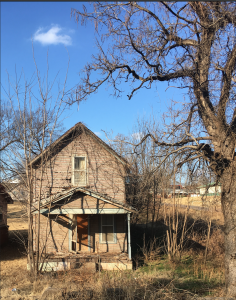 Luther OK – The Town of Luther is working with the City of Harrah to share a code enforcement officer. Beginning April 22, 2019. 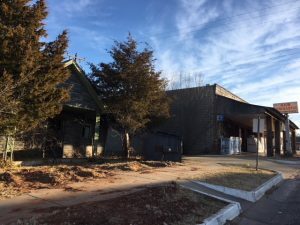 Officer Timothy Kyle will be dividing his workday between the neighboring municipalities following an agreement signed by Luther and Harrah officials. Officer Kyle will work in Harrah in the mornings, and Luther in the afternoons. As of now, Officer Kyle will be driving his City of Harrah vehicle while he is on duty in Luther. 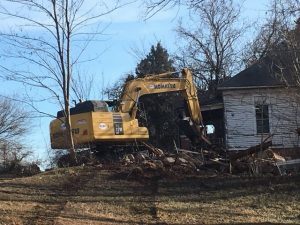 She said that Kyle will be making contacts with property owners, and his job also will include locating owners who do not occupy some of the abandoned homes in Town proper. Two such properties were torn down in January 2018 by the town. Both properties have since been purchased by others who pledge to make improvements. White said Officer Kyle will give attention to Town codes violations on properties that might be derelict or neglected that might include trash, broken windows and overgrown lawns. But she said Officer Kyle won’t be automatically writing tickets. “We don’t intend to go in and write tickets. He is mainly here to introduce and write warnings,” she said. 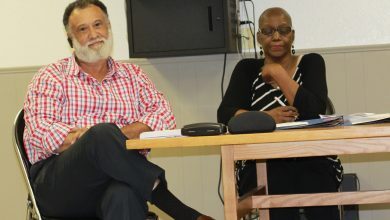 “The first encounters will be a courtesy contact.” She said although tickets eventually might be written if property owners don’t comply, the Town doesn’t intend to punish people if they can’t afford to fix their properties. One of the abandoned houses on Main Street. 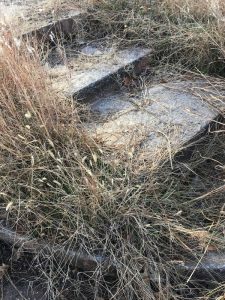 The Town advertised to hire an enforcement officer several months ago, and eventually the partnership with Harrah evolved. 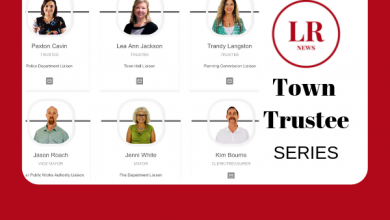 “We expect that the transition into this new position will run smoothly and that Luther citizens will enjoy having someone help the Town look its best. If you have any questions or concerns, however, as we move forward in this process, please let us know. 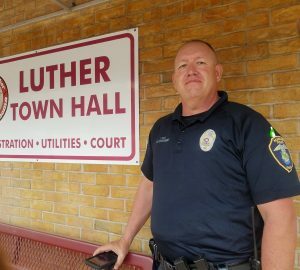 The Town and Officer Kyle are looking forward to making the Town of Luther the best it can be and working with everyone in a kind and professional way,” said Mayor White on the Town’s FB Page.